Hot dog is one of our favorite fast food. 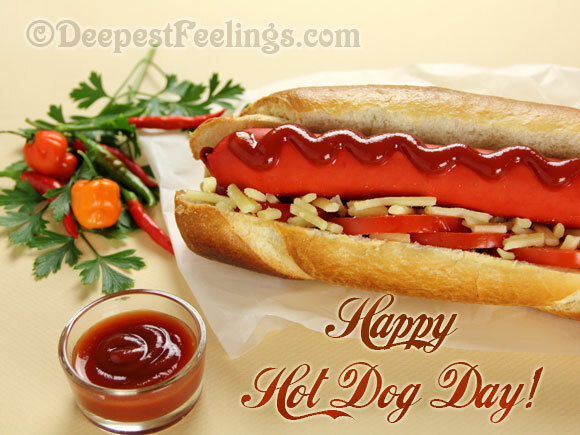 We also celebrate July as the hotdog month and as the Hot Dog Day. 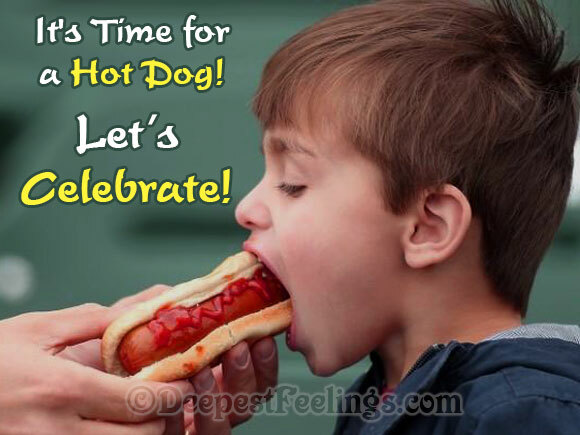 Now you can wish these special days, or send someone a virtual hotdog.Yummy fun and a visual treat, these cards are sure to make your loved ones smile, as soon as they open it. Click here to refer these hotdog greetings to your friends. It's Hot Dog Time Again!